Born at Montreal, Quebec, he was editor of the Jewish Western Bulletin at Vancouver from 1949 to 1960, returning to Montreal as Public Relations Director for the Jewish Federation / Combined Jewish Appeal. He came to Winnipeg in 1965 as the Western Regional Director of the Canadian Jewish Congress. Considered “a pioneer in promoting civil liberties in the province of Manitoba”, Arnold was pivotal in creating the Manitoba Association for Rights and Liberties (MARL) and served as its first Executive Director. In the late 1960s, he was a columnist for the Western Jewish News, in which he wrote controversial articles “challenging the elitism of the community leadership and its blanket support for Israel”. Later in his life, he was an active member of the Zuken Foundation, named for fellow civil rights champion Joseph Zuken. 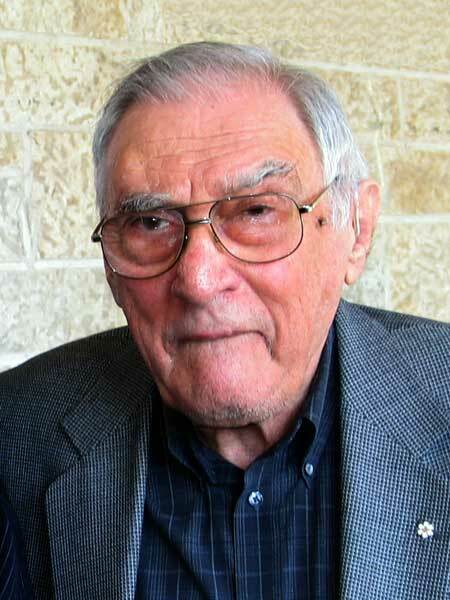 An authority on Jewish settlement in Western Canada, Abe was the first Executive Director of the Jewish Historical Society of Western Canada, established in March 1968. He received the Manitoba Historical Society’s Margaret McWilliams award twice for his writings on the history of Manitoba. In 1967, his essay Why Did Donald Creighton Cut Short His ‘Long View’? was written in response to Professor Creighton’s presentation at the Sir John A. Macdonald Dinner that year. In 1974, he received the McWilliams award for his seven articles published in The Jewish Post and The Canadian Jewish News on Jewish immigration to Manitoba in the 1880s. He died at Winnipeg on 28 January 2011. Was Amor de Cosmos the Louis Riel of British Columbia? Coming of Age: A History of the Jewish People of Manitoba by Allan Levine, 2009, Heartland Associates, page 351. “Human rights pioneer leader in local efforts” by Kevin Rollason, Winnipeg Free Press, 29 January 2011, page A19.